It Works For Me. Heidi Swain Shares Her Personal Writing Rules. Last week I wrote about the rules I try to stick to when I'm writing. This week, I'm delighted to welcome my good friend Heidi Swain back to my blog so she can share her rules. Take it away, Heidi! When Susanna messaged me and asked if I would consider writing this post, I did what I do with everything I'm asked to do on the author front these days: I messaged straight back saying yes, I'm in. I probably wouldn't have done so eighteen months ago, but eighteen months ago I was a very different person. I would have procrastinated, mulled over and then found an excuse to say no - but not now! Rule Number 1. If in doubt, if something totally terrifies you, say yes, feel that fear and fathom out how to do it later. So, having obeyed my first rule, I sat back to consider what my Rules To Write By actually are. Initially I had a bit of a panic because I didn't think I had any, but it turns out I do and it's a pretty comprehensive list. Of course, I don't always follow them. On many occasions I've ploughed on regardless, only to falter, retrace, regroup and tell myself I won't make that mistake again. Everyone does. So here's my list. I hope you find it interesting, perhaps even useful. 2. When starting a new project, I allow time enough for the plot to develop its own heartbeat before starting to write. 3. I always plan in longhand and keep my notes with me so I can add thigs as the plot develops in my head. 4. Writing a reasonably detailed plan and timeline keeps me on track, but if the characters decide to go off on a tangent, I always follow them. Flexibility is the key to forming new threads. 5. I always spend time playing out every scene in my head. I watch and listen to the characters and explore the setting, so when it comes to writing I'm simply recording what I've seen. 6. When the first draft begins to flow, I write every day, even on 'work days.' It might not be for long, and it might not be much, but it keeps the momentum going. Ok, so that's a bit of a lie, because sometimes I don't put pen to paper during weekends, but I always, always keep thinking about what I'm writing next, so I'm good to go on Monday. 7. If I feel a project isn't progressing, I'll go back to the drawing board, even if I'm 20,000 words in. This doesn't happen often, but I can guarantee that if I haven't paid enough attention to Rule 2, then I'm heading for trouble. You'd think I'd have nailed this by now. I haven't. 8. I only write about settings I love and characters I would love to be. So come on, what are your Rules to Write By? I can't wait to read all about them! 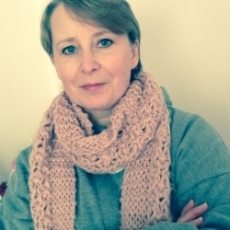 Although passionate about writing from an early age, Heidi Swain gained a degree in Literature, flirted briefly with a newspaper career, married and had two children before she plucked up courage to join a creative writing class and take her literary ambitions seriously. She joined the RNA New Writers' Scheme in 2014 and is now a full member. The manuscript she submitted for critique, The Cherry Tree Cafe, is her debut novel, published by Simon and Schuster in July 2015. Thank you for rule #1, Heidi. I've had to do a lot of scary things in the past few months, and there are more on the horizon in both life and writing. I'll think of you as I take a deep breath and take the plunge. Your tips are useful AND interesting, and thanks to Susanna for this helpful series. Lovely to hear from you, Jan, and I'm pleased you think this will be a good series. I think plans need to be flexible because your ideas develop as you write. Glad to hear this works for you too. Louise, I love Susannah's blog posts too. Always so interesting. I was shocked, as well, at the advice to throw away pages of work, until I found it worked! Now I look on the start of the book as a way of 'writing myself in' to the story, and it helps with that fear of not getting the first chapter right. I really like Heidi's rules, especially letting the characters take over even if it takes things in another direction! Nice to hear from you again, Louise. I'm glad to know that these posts are going to be of interest to people other than writers! You're right about writing being an isolated pursuit, but it's not as isolated as it used to be now that we have the joys (and distractions) of social media. Thanks for dropping by. I never thought of writers needing rules, but it makes sense. It must be a lonely occupation and you need your make your own structure. I also read last week's post and was amazed at the advice Frances Evesham was given about throwing away the first 50 pages. Even though I am not a writer, I think I am going to enjoy these blogs. I think that Heidi Swain's rule 1 is a good piece of advice in any situation, not just writing. Wendy, I completely agree. "Say yes first and panic afterwards," is a wonderful piece of advice from a dear friend of mine. Doing things in spite of being scared opens up all kinds of opportunities. It's surprising how manageable things become when you're determined to do them. Thanks for commenting, Wendy. I'm glad you're looking forward to the series. Oh how I recognise rule number one. It's so important to say yes to things that scare you. I am scared of a lot of things: failure, looking stupid, cows and tube trains (sorry those last two aren't relevant) but I know that, as Heidi said, by saying yes then working out how to do something later, most things become manageable. This is going to be a great series, Susanna.